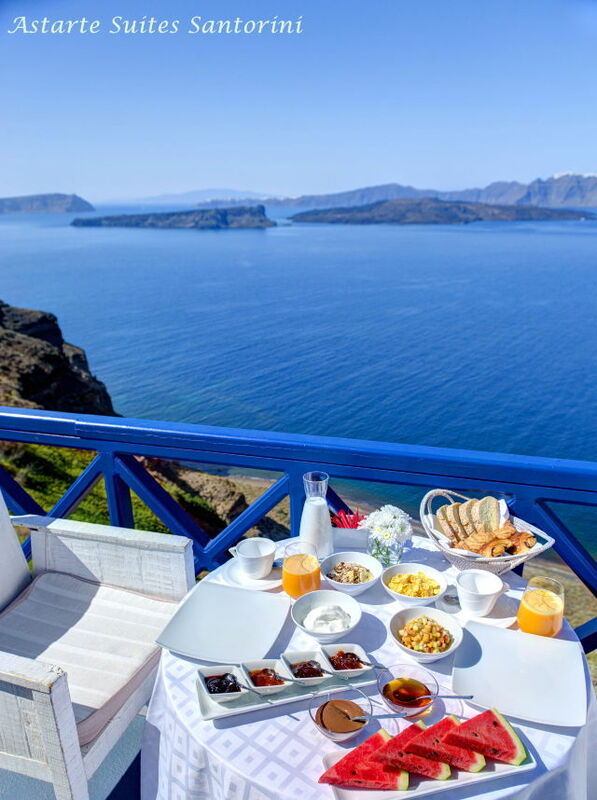 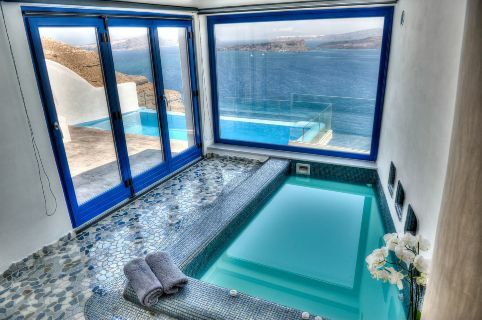 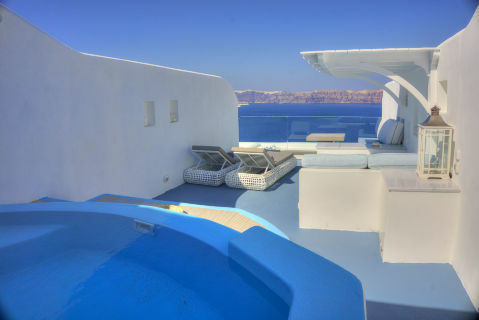 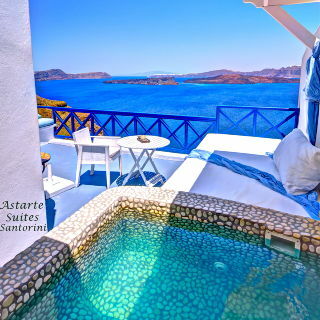 Junior suites charmed with cool tiled floors and a muslin draped bed, while the private terrace was made for dining à deux where guests could gaze at the achingly blue Aegean Sea ringed by its volcanic caldera. 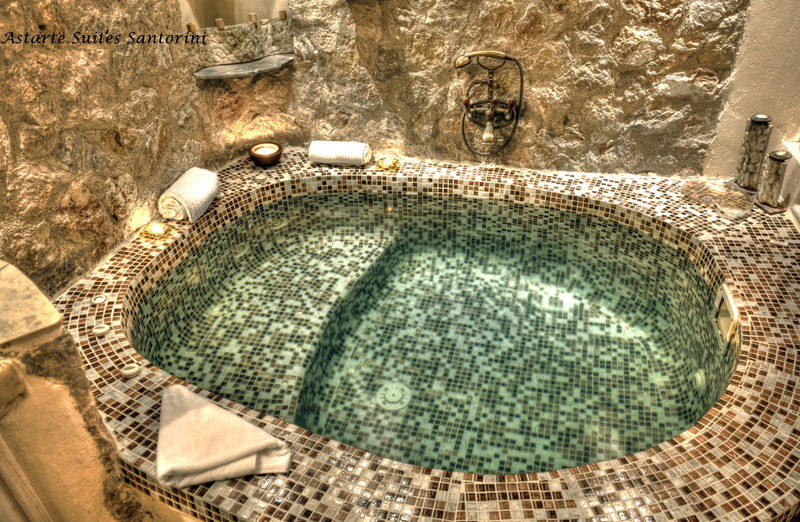 The magic here is in the detailing: clock the generous Jacuzzi bathtubs fringed with lanterns and fat candles, whose domed ceilings are studded with Swarovski stones that twinkle like stars. 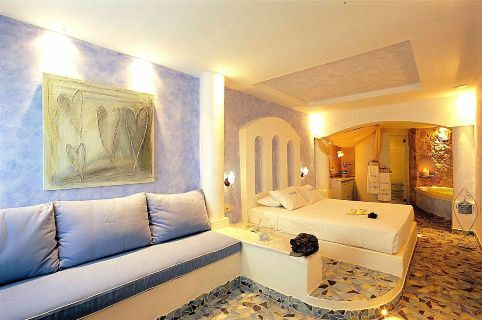 King-size Bedroom with marble bed tables and adjoining sitting area, bathroom with shower, large indoor heated couples Jacuzzi-pool with Swarovski crystals on the ceiling, private veranda with open air dining area having volcano, caldera and sea view.